My Meal Planning Made Simple course goes into a lot more detail about how to make getting a healthy meal on the table much easier, but I wanted to share with you one of my key tips from that class because it could quite frankly eliminate many of the headaches you’re experiencing around meal planning. I don’t know why, but it seems like we have this notion in our minds that dinner needs to be some elaborate concoction of perfectly prepared food… not so, my friends! 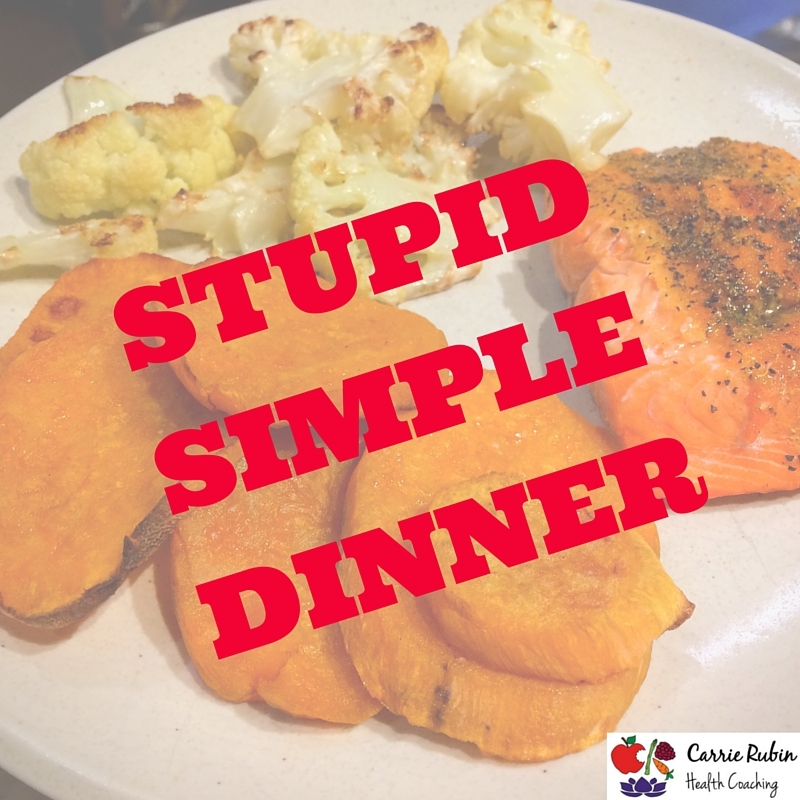 Here is my cheat sheet for how to put together a Stupid Simple Dinner, but really all you do is choose a type of meat, a vegetable, and some source of carbohydrate (potatoes, grains, winter squashes). The combinations are endless… and, if you include spices and marinades… take endless combinations out to infinity! What’s great about Stupid Simple Dinners too is that they are very kid friendly. That is, if your kids are anything like mine where they don’t like things mixed together and generally like their food without much seasoning. Typically I’ll spice up the adult portions of the meat and leave the kids’ naked. I hope this helps you with your meal planning endeavors. If you’d like a few more tips and tricks for your meal planning toolbag – check out my Meal Planning Made Simple class!